A pilot program in which hospitals no longer charge a 15% markup on all medicines is to be extended to more major hospitals in Beijing. 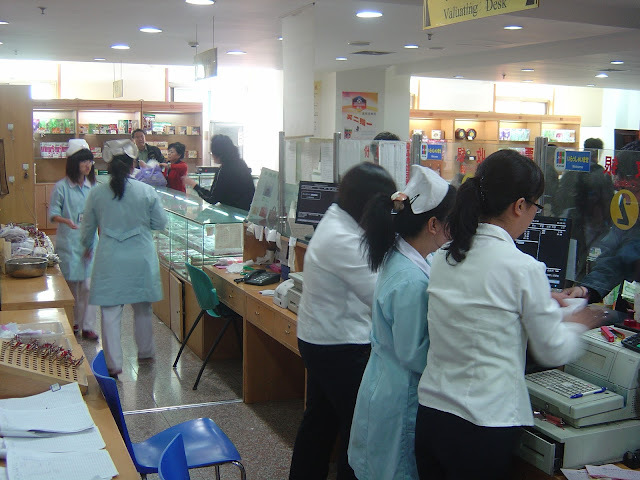 The scheme, which has been running at the Friendship Hospital and Chaoyang Hospital, is intended to de-link revenue from prescribing and therefore remove the incentive for hospitals and doctors to over prescribe medications. The scheme will be extended from December to the Tongren, Jishuitan and Tiantan hospitals. Yesterday, the Beijing Medical Reform Office held a press conference to announce that additional hospitals will cancel the 15% of medicines markup as well as an additional 42-100 yuan of medical service fees, including Medicare fixed reimbursement of 40 yuan. The director of the Medical Reform Office in Beijingr Han Xiao-Fang said patients need not worry about having drugs cancelled after hospitals implement the total payment system. If hospital costs overrun, doe of these will be borne by the government, but hospitals also need to take the initiative to lower costs. "In the past, if patients spent more money, the hospital earned more money. After reform, hospitals can only earn service fees." Director Han said. In addition, lower medical supplies prices, will be another important way to reduce the burden on patients, he added.